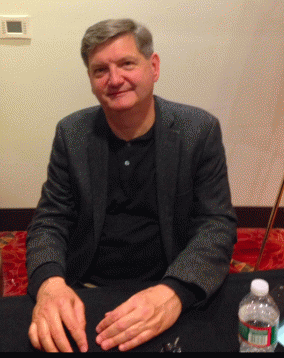 Earlier this year I did an hour long interview with James Risen. We discussed his case with the Department of Justice, where he was being threatened with incarceration for refusing to reveal his source who gave him insights about NSA activities. This was before Obama and Eric Holder decided to drop the prosecution against him. I saw him give the keynote speech at the luncheon for the Investigative Reporters and Editors 2015 conference and after his talk, in which he lambasted former Attorney General Eric Holder, I asked him to do a brief interview, based on his comments on Obama, Eric Holder and their legacies. 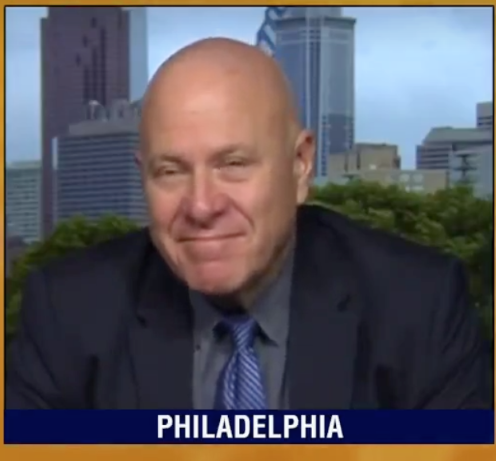 Rob Kall: I was really hoping you would recap what you said to about 1500 journalists about your experience with the DOJ and Eric Holder and where journalism is today. James Risen: I think the main point I was trying to make is the legacy of the Obama administration on press freedom issues is a bad one. They had, in my case, sought to eliminate what's called the reporter's privilege, which is the ability of reporters to protect their confidential sources in criminal trials and not be forced to testify and identify sources. In my case the judge sided with me and quashed the subpoena from the Justice Department against me. But the Obama administration appealed that to the appeals court and they overturned that decision by the lower court and in their appeal to the appeals court, they said, there is no such thing as a reporters' privilege in a federal case. And the court sided with them and that had the effect of eliminating the ability, legally, of reporters to protect their sources in federal criminal cases. Rob Kall: In all cases? Rob Kall: Which covers what area? James Risen: Which covers Virginia, MD and most of the area where the federal government operates, for instance, the CIA, the pentagon, NSA, all of the national security agencies are covered in that area. So any leak investigation against a reporter that they bring to try to force him to to reveal sources on a national security story will be brought in that fourth circuit. Rob Kall: Now, your case went to the Supreme court. What happened there and what's the effect of that? James Risen: What happened was when they appeared the lower court to the fourth circuit and the fourth circuit agreed with them and they issued a ruling requiring me to testify, I appealed that to the Supreme Court. The Supreme Court refused to hear my case so the fourth circuit ruling stands, meaning that legally, journalists in the fourth circuit have no legal reason right not to be forced to testify. But what I did was I said, "i'm not going to testify. You can throw me in jail and hold me in contempt of court. At the last minute the Oba" justice department blinked and decided not to do it, not to go through with it, after all that. But that ruling still stands now. The fourth circuit ruling saying that reporters have no privilege in the fourth circuit area-- all the areas in the country where major national security agencies all operate. Rob Kall: And it really doesn't matter where in the country you are if it's a national security agency. James Risen: They'll bring--if you write about the pentagon, the CIA, the NSA or any of the other national security agencies, and they want to conduct a leak investigation, they can bring it to that area and use that law that ruling as their precedent to force you into the position as a reporter to say, "you either testify right now or you'll go to jail for contempt of court." Rob Kall: And this is a huge change from the bedrock of journalism. Series: "Journalism, Investigative Journalism, FOIA Freedom Of Information Requests"
View All 6 Articles in "Journalism, Investigative Journalism, FOIA Freedom Of Information Requests"